We’ll start our brand new Starter adventure with quoting from Debra Wink’s article (quoted article is always in red) and follow along with photos and commentary. We’re going to start off making our TWO starters, one ‘normal’ with just water and the other following the Pineapple Juice Method, side-by-side and see how they do compared to each other. Walter will live on the left and get normal tap water (Walter, water.. get it?) PJ will be on the right and get unsweetened Pineapple Juice. Yeah, that’s a very large can of pineapple juice for three servings of 2 Tbsp each. No worries, it made good beverages for people too. Notice that Debra chooses to use simple measuring here. 2 Tbsp (1/8 cup) is an easy measure to get and is also small enough to not build up a huge amount of starter. I happen to have these little medical measure cups which make it easy but I also have a 1/8 c scoop. Obviously two 1 Tbsp measures would also work fine. At this stage, accuracy isn’t terribly important, as long as the conditions are set up properly. I’ll add here that I’m using rye flour during our beginning process, as this is what I have on hand. Here they are mixed and on the counter. It’s 82ºF or 28ºC in the kitchen. It’s middle of summer right now. Looking deep into the jars…. nothing happening at all after four minutes! I’m shocked. We’ll let these sit on the counter, with their lids on, until tomorrow. I will share my day by day experience on your site because you have done such a great job explaining the process. BTW: Thank you for the pics, instructions and site to glean this information from. Forgot to mention that I’m using rye and pineapple juice to create the starter. I read the whole process, very useful and seems easier than I expected. I just followed the instructions for Day 1 with rye flour and fresh pineapple juice. I really hope it works. Should work for you, no reason it wouldn’t. The only thing to be careful of is if your pineapple juice contains added chemicals which are in there to preserve the juice and, well, kill yeast. As long as you are using real 100% pure juice, you’ll be fine. If you find your juice does have added preservatives, you can also use fresh orange or lemon juice. It will take a bit longer for that to work as the pH level it brings isn’t as “perfect” as pineapple juice, but it will still work. Keep us posted on your progress, add your comments under the appropriate day’s post! I use freshly squeezed juice, so no preservatives, no chemicals. 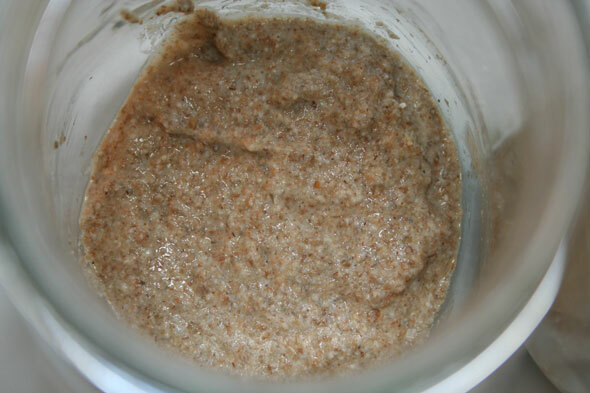 I’ve been struggling with making sourdough starter for months now. die, so I’d throw it out. been enjoying good sourdough bread for a month now. Thanks much for all the great information! Thanks, Sean! Glad the info is helpful. Don’t hesitate to post again if you have any questions and also to keep us updated on your starter progress. The “other blogs” may not have done anything different, but simply lucked out and didn’t get hit with the bad bacteria; not every attempt will go stinky. Or they did but chose to gloss over that part. And keep in mind the Pineapple route is mainly there to jump start the starter by a couple of days, skipping over the “no activity” period by kicking the pH levels to where the desired critters like it and come out of hibernation sooner. Hopping over the stinky bacteria phase is really a bi-product of that. Great article! Very informative. I may have messed it up with using Dole pineapple juice, I guess we’ll find out. Check the can’s label, it may be pure pineapple juice. Well, by the third day I was seeing no activity in the starter. I was planning to buy different pineapple juice, maybe online or something. But before going to bed on the third day, I noticed that the starter was full of bubbles. It was not as active as your pictures, but it had almost doubled in size. I am now in the second day of 2:1:1 and I think I may stay in this phase a little longer until the starter is a little more vigorous. Once I am seeing it looking better, I will move into the 1:1:1 phase. Thoughts? That sounds excellent. Remember that things like “Day Four” and such are just guidelines; the yeasties don’t have watches or calendars. So stick with the current set up until the starter is nice and active and reliably doubles in a set amount of time, say 8 or 6 hours. Now this does mean keeping a close eye on thing for the next day or so. 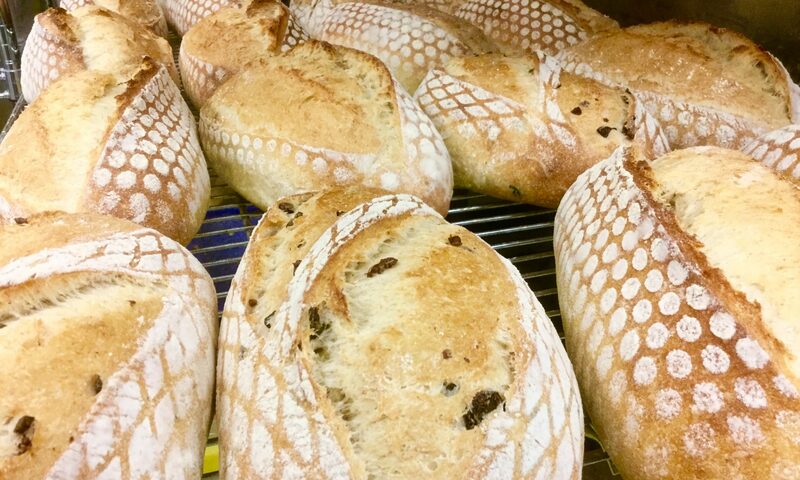 But when you know it’s doubling well and it is peaking faster, then you can cut back on the “old” starter you keep and feed more new food. This will mean there’s a bit less starter colony and more food for it to get through so it will slow the doubling time up a bit as the old colony has more “new stuff” to take over and is starting with a smaller batch of critters to start with. But that’s all good. 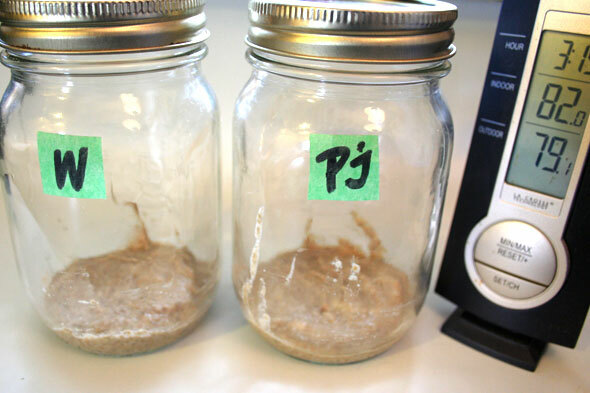 Once your starter is going nicely, you’ll want to go from 1:1:1 to 1:2:2 (as a suggestion, see how YOUR starter behaves) and possibly cut back to a total of, say, 50 grams of starter after feeding, just enough to easily live in a 1 pint mason jar. That will mean 10 grams old start, 20 grams water, 20 grams flour. For your 1:1:1 ratio, you can do 20:20:20 grams. Either way, you’ll still be discarding a tiny 40 grams of used starter at each feed. When you’re ready to start baking, you then use that 40 grams as your bread’s “levain” which you then build up to whatever amount the recipe you are working with requires. Meanwhile, your “mother” starter stays safe and unused, getting its normal 1:2:2 feed, three times a day, “morning”, “late afternoon” and “night”. Again, starters don’t wear watches so at breakfast, after work – for most people – and before bed is close enough. Keep doing this for 2 weeks, then she can go live in the fridge. Keep going, sounds like you have a good one on its way! 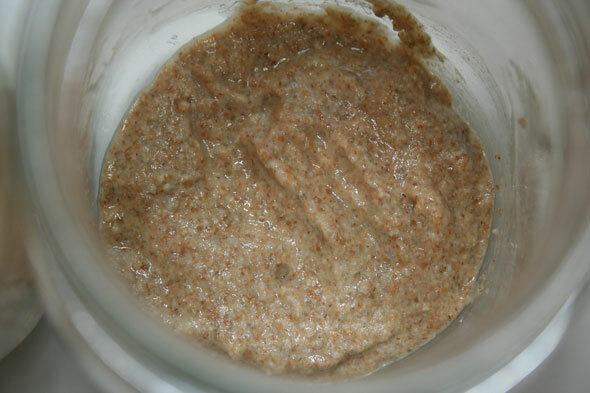 hello, very interesting topic ,i start learning to do a sourdough starter to finally use it when doing bagels. 1 for the water i m using nestle pure life , its contains chlorinate 14.3 ,to remove it i m boiling it for 10 minutes and let it cool down, is that ok ? 2 – i did the first day and its now 24 hours passed and no activity at all, only this sour smell, should i wait for another day or start adding the ingredients of day 2 . 1) Yes, boiling will help the chlorine dissipate, although simply letting it sit opened to air for a day or so, even covered with a towel, will also allow the chlorine to disperse out. 2) Go ahead and do day two on day two. You are unlikely to see activity just passed day one, it’s much too early still.